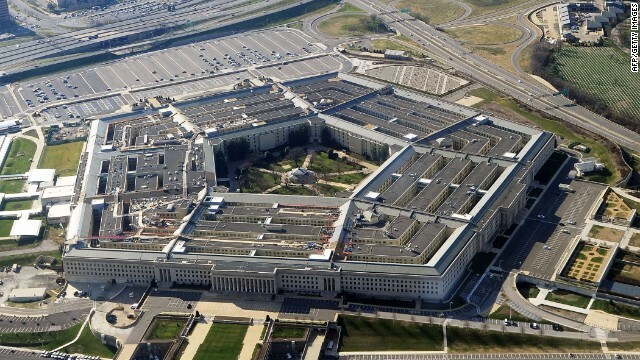 The Defense Department's inspector general wants disciplinary action taken against the head of the Pentagon's civilian police force for misusing his power, according to a report released Monday. Dated February 20, the report alleges that Stephen Calvery, director of the Pentagon Force Protection Agency, granted a relative access to the agency's firing range, complete with instructors and ammunition. It also alleges that Calvery sent underlings on lunch runs, improperly granted leave for employees to attend a golf tournament and misused his influence in promoting an underling who was not qualified for the post. According to the report, the allegations first surfaced when two anonymous tips against Calvery were called into the Inspector General's office in March 2011. The report says that Calvery paid for the lunch and coffee but that he should not have asked his subordinates to pick it up. Additionally, the report alleges that he granted employees leave to attend an agency golf tournament in 2009 and 2010. The report says that for leave to be authorized, "there must be a benefit to the agency's mission, a Government-wide recognized and sanctioned purpose or in connection with furthering a function of DoD." The report continues, "We determined that the golf tournament, although open to all (agency) employees, was not a DoD-sanctioned event and there was no perceived benefit toward (the agency's) mission." The final allegation made in the report is that Calvery gave preferential treatment to an underling, selecting that person for promotion "because he felt the subordinate would never get promoted in his current position." That action also caused another individual reviewed for the post to be bumped from consideration to make room for Calvery's preferred choice. Calvery served 20 years as a special agent with the Secret Service. Before taking his current post at the Pentagon in 2006, he served as law enforcement and security director at the Department of the Interior. The report cites Calvery as disputing the allegations, arguing that any violations were "unintentional," with his Secret Service experience contributing to his misunderstanding that the family member was able to use the Pentagon agency firing range. Calvery also contended that "his subordinates only used personal time to pick up his lunch or coffee," that the leave-granting was appropriate and that he was exercising discretion when selecting the subordinate for promotion. Pentagon officials refused to elaborate on the allegations. "It would be inappropriate to comment about this administrative action, as such comments would be contrary to Department policy and a violation of the Privacy Act," Pentagon spokesman Lt. Col. Tom Crosson said in a statement. This story was first reported in the Washington Post. I love our country's accountability that's what makes us better then the rest! This isn't new allegations for any federal agency. Worked for federal service 32 years, these actions are nothing compared to what I witnessed in the last 10 years of service. I feel sorry for the President–promoting people less qualified over qualified individuals, writing PDs to make sure the individual meets the list of applicants, if not, keep rewriting. Colonels and SES hiring by name over lots of qualified personnel already working in the squadron, y'all get the picture. Typical actions taken by elitists regardless of political affiliation. There is rarely justice. Only when media decides to make an issue of it. And with this administration there simply is no accountability or transparency at all. Sell you a comma and an e.
two sound bad, two sound like a normal office "Whose turn is it to go get lunch" Y'all did great go have fun on the gold course we have your shifts covered. Meant to say "golf course"
I can't see one impropriety in the Chief or Boss's alleged actions except the promotion of so-called unqualified people. (Of course, everyone promoted is less qualified than you) When you are on salary you may ask or be asked to do stuff that has no immediate relation to your job. Downside to this is you still have to get your assigned work done. If that means coming in on your own time....so be it. That's the way it works in private industry or Government. In private industry your salary represented 45 -50 hours work without extra pay. some jobs have requirements you must full fill before you are granted a position, Shooting, test scores and time.